At Compare UK Quotes we have long advocated the use of telematics, or Black Box Insurance for new car drivers. As a way for drivers to save money on their car insurance, telematics technology is key, giving skilled new drivers a way to prove their ability to the insurers without years of experience and no claims discounts. A recent report by risk assessors, Lexis Nexis, has just been released showing another major benefit of the tracking system – a substantial decrease in casualties in new young drivers. Black box insurance means adding a tracking component (the black box) to your car which sends regular data back to the insurer detailing your driving habits. It will tell them your speed, mileage, braking skill and more – even letting them know the times of day you drive and if you enter any ‘bad’ areas. The reason for all this data gathering is simple – it lowers the risk for the insurance company, as they can see whether you are being a responsible driver, and in return you are offered a discount on your premium. For new drivers it’s an excellent way to knock some pounds off high car insurance costs. How does black box insurance save lives? It’s a matter of reward – by offering lower insurance premiums for good driving, the insurance companies are promoting safety and providing a reason to take care on the road. The idea that doing so would help prevent accidents was clear, but the statistics are more impressive than expected. But don't take our word for it. Here is a graph from LexisNexis risk solutions clearly showing a drop in casualties corresponding with a rise in black boxes. 1 – The number of 17 to 19-year old drivers who have been seriously injured or killed in road traffic accidents has fallen by 35% in seven years. This is in comparison to an overall improvement across all ages of 16% in the same period. The single biggest factor differentiating the 17 to 19-year bracket from those older drivers is the almost ubiquitous adoption of telematics-based insurance. 2 – 4 out of 5 young drivers have black box car insurance. An 80% adoption of telematics insurance is great news for everyone. It lowers the cost of insurance for a majority of our young road users, saves money for insurance companies and the public sector, and most importantly is saving lives. If you or your child is one of the 20% who are yet to add a black box to their car, it’s not too late to switch. 3 – There are 10% more vehicles on the road today than in 2011. What there isn’t is 10% more road! As our roads get busier and busier the chance of road traffic accidents increases. 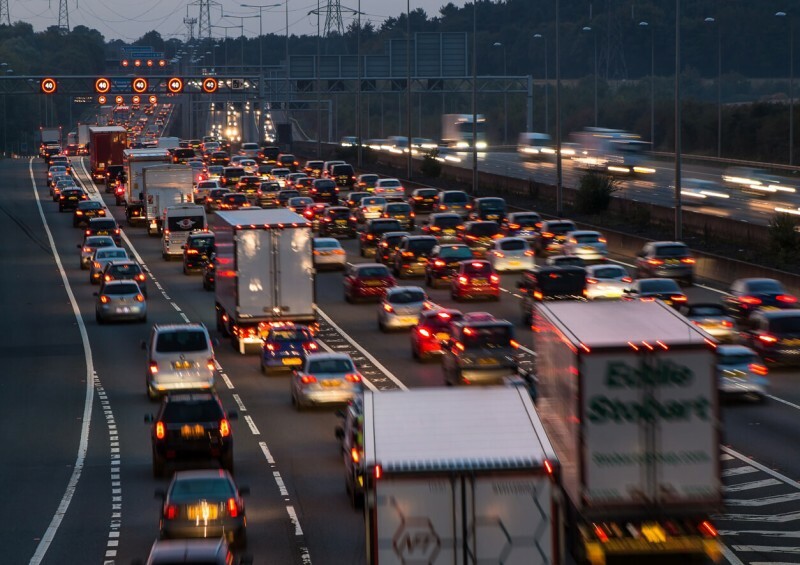 Not only is there the very obvious truth that more cars means more chance of a crash, but with an increase in traffic comes an increase in driver tension and length of journey – both factors which can lead to an accident. 4 – 73 people are killed or seriously injured on UK roads every single day. It’s a staggering statistic, and anything that can be done to lower that number is a good thing. Black box insurance is not limited to new young drivers – it can form part of an insurance plan for more experienced drivers too. 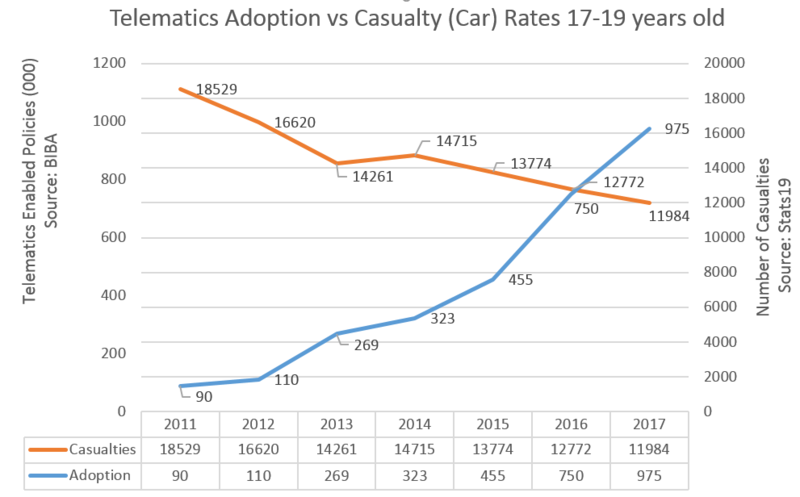 Is it time to take some wisdom from those young adopters and opt for telematics as a standard part of a fully comprehensive car insurance package? 5 – Drivers aged 18 to 25 make up a full quarter of all car insurance claims. Those claims are higher too, with an average cost of over £4,000 each. It’s not surprising – being younger does often mean being a little more reckless and lacking driving experience. It is for this reason that telematics was designed in the first place! “The analysis is exciting because it provides evidence that telematics has had a real impact on the safety of young drivers and the potential it therefore offers to improve road safety standards for all motorists.” - Graham Gordon, Director, Global Telematics, LexisNexis Risk Solutions. George Orwell’s dystopian classic 1984 has given society a lot to think about in the near-70 years since its first publication, but nothing sticks in the mind more than his image of ‘big brother’, constantly tracking the citizens every move (and every thought). Black box insurance providers have long struggled with the impression many have that giving them full data about your driving habits is a step too far and moves us inexorably towards that nightmare depicted by Orwell. Of course, the truth is far from this perception. Outside of a collation of data for their insurance purposes, the providers have little interest in any one person’s driving technique. Black box insurance, despite it’s unerring accuracy, is designed to provide the underwriters with an overall picture of the driver, not report back on specifics. Quite far from ‘big brother’, car insurance companies use the information gathered for the sole purpose of calculating a fair premium. Where there is a crossover, it is extremely positive. Thanks to a little intelligent programming, the telematics data can detect if a collision has occurred and an alert can be sent to the insurance company to provide help in these situations. Not so much someone poking over your shoulder at every turn, and more the technological advance of assistance in an emergency. Whatever your views on the acquisition and application of driving data, however, the statistics prove that telematics saves lives – and that has to be a good thing. At Compare UK Quotes, we have in-depth knowledge and understanding of everything to do with insurance and saving money. Read our library of articles that can help with finding the right insurance for you!